I always get the prepositions wrong on these movies. Tia and Tony are back in human civilization for an unsupervised visit, which turns out to be exactly as bad of an idea as it sounds. 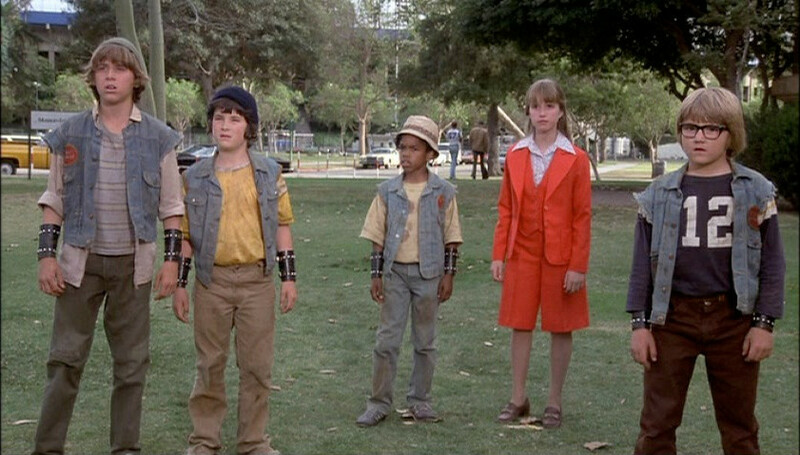 Having avoided the Trump-like clutches of Aristotle Bolt in Escape to Witch Mountain , you’d like to think that the space children had learned to keep their mental powers secret. 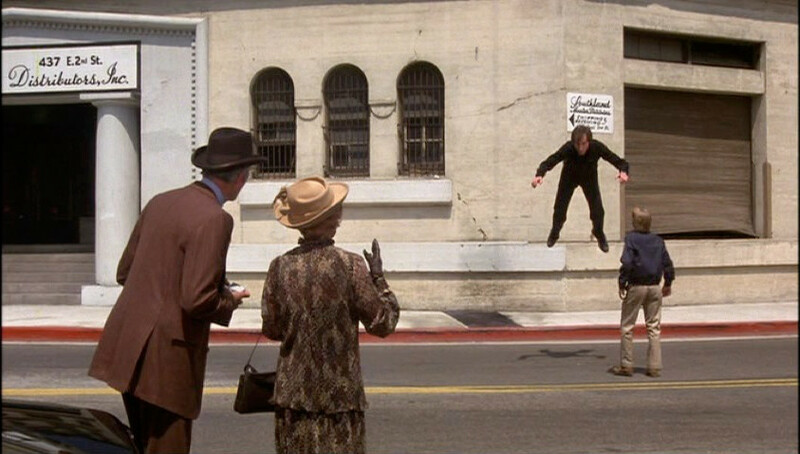 Yet within moments of screen time after leaving Uncle Bene, Tony saves a falling man in as noticeable a way as he can manage and is kidnapped by Doctor Victor Gannon (Christopher Lee) and his patron Letha Wedge (Bette Davis). It’s up to Tia and the four kids of the Earthquake Gang to save Tony and Los Angeles. Three years after the first movie, this sequel came out. Kim Richards and Ike Eisenmann reprise their roles as the psychic siblings, and Denver Pyle shows up as Uncle Bene for the first and last few minutes. There’s no mention whatsoever of Jason O’Day. Maybe he’s still driving around the country in his Winnebago, looking for more lost alien kids. Gone too are the villains of the past. Aristotle Bolt and Lucas Deranian have truly given up on chasing the children. It’s a whole new cast of allies and adversaries, with a slight modification to the conflict. Whereas Bolt had lost the orphans before he was able to exploit them, Gannon gains control of Tony immediately through a device of his own invention. A receiver behind the ear — sort of a janky Bluetooth headset — transfers voice orders to its wearer’s brain from a handheld radio transmitter. Gannon intends to use this to rule the world, which just shows how little practical experience he has with gadgets. Maintaining one or two receivers and course-correcting their hosts seems feasible, but how many people under full-time control would it take to rule the world? It’s just not going to scale, especially if he wants to lead everything top down. Tia and the Earthquake Gang. Fortunately, Gannon’s patron and business partner has less lofty goals. Letha spent her fortune funding Gannon’s research, and she wants it back with interest. With the bumbling aid of her nephew Sickle (Anthony James), she tries to launch her plans for a more immediate payoff. The tension between the villains adds a nice layer that was missing in the first movie, and it always for a lot more action and use of alien powers. The gang doesn’t add as much, especially as all four boys have the exact same personality, but they are a convenient way to move Tia around the city as she tries to find her brother. Also, the delinquents come with pursuing truancy officer Mr. Yokomoto (Jack Soo), who has a van. Everyone knows that when you’re underage you need to be friends with someone who has wheels. 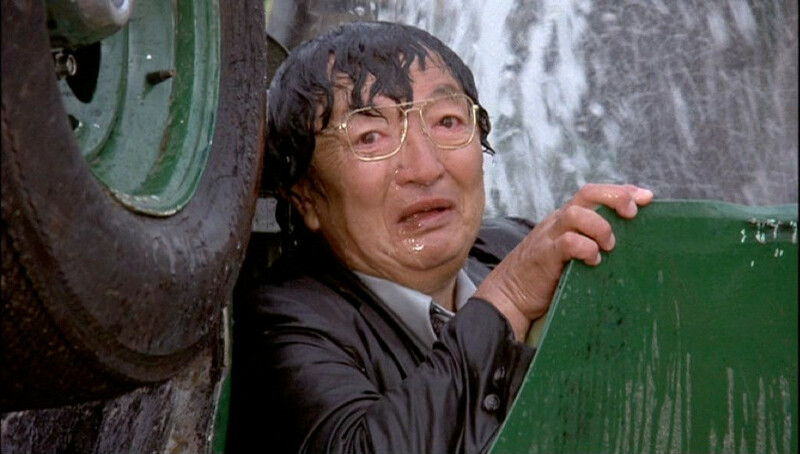 Jack Soo has some regrets. 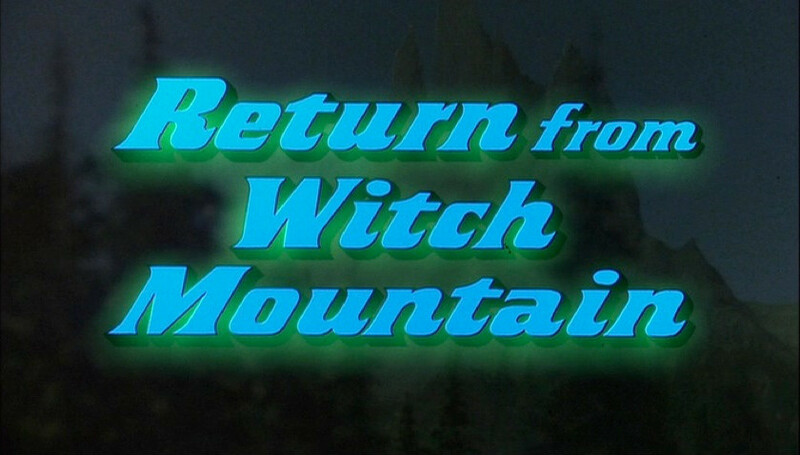 Return From Witch Mountain is a great sequel. It stays honest to its predecessor but carves out its own space. It’s true that there’s some heart lost, as there’s no incredible reunion and the heroic redemption is just the kids going back to school. The faster pace and wilder demonstrations of psychic abilities keeps it engaging enough to be worth your time though. Plus, the sight of Bette Davis standing next to Christopher Lee is pretty entertaining in itself.